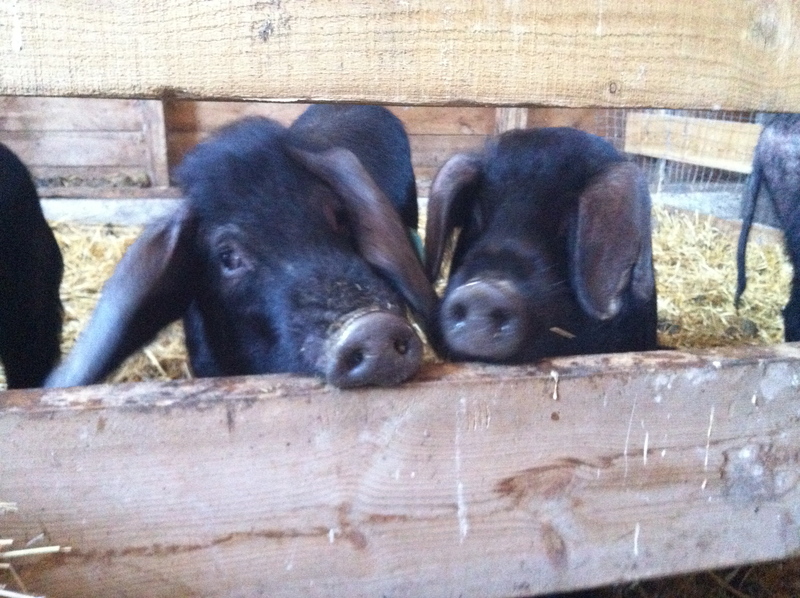 We now have 19 on the farm 15 of which are our registered large black pigs. 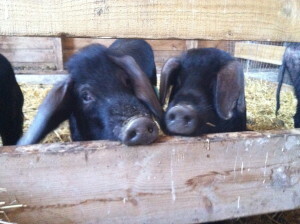 At the end of this year we should be able to offer whole pastured pork and pork products to our customers. We had so many lambs born that we moved the pigs out of the heated insulated barn into the unheated drafty barn (very sad day to be a pig). Pam’s babies have been weaned and are living with their dad and uncle in the big barn. Odette’s babies will still be with her for another week or two and then they too will be separated and start living apart from their moms. 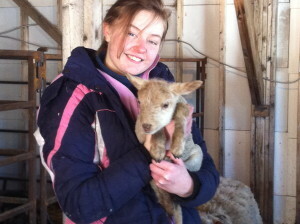 The big news of the month is all the baby lambs that we have. 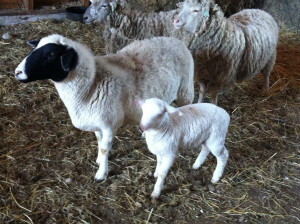 Most of our ewes have given us two lambs and we will soon be getting ready to see spring lamb in the field. Our daughter Sophia is proving to be the only man on the farm as she is the one who is doing all the nasty jobs which have to be done like the castrating and tail docking. Sophia and Dawn are getting really good at bottle feeding the weak ones until they are ready to go back to their moms. The hooch isn’t so sure about sheep in the house though – cats are enough! Our Manitoba winter is getting very long for our cattle. One word – endure! !